Al fresco , et al. 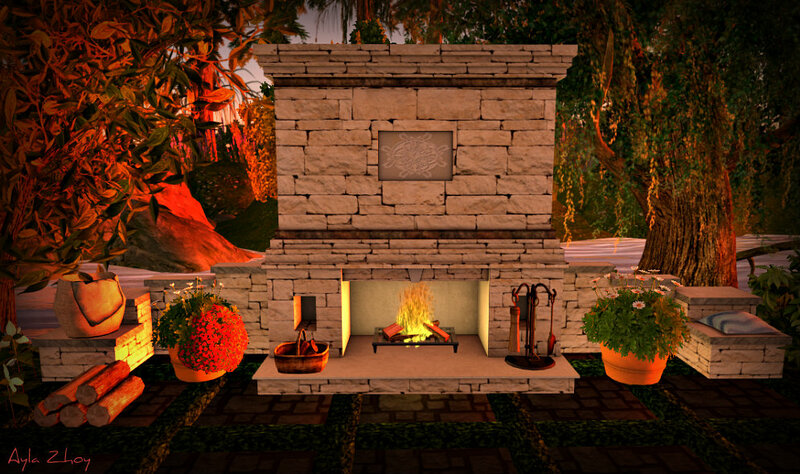 When you have a fireplace like this one from Galland Homes you want to park yourself outside and stay there. We love to eat al fresco when the weather cooperates and when friends are over we can pull up chairs or throw some pillows around. This is a must have for year round! It’s time to get out with friends and family to camp or visit those weekend getaway spots. We pulled up the tent stakes and put out a new place to call home. Yes – it is another hidey hole for the weekends. 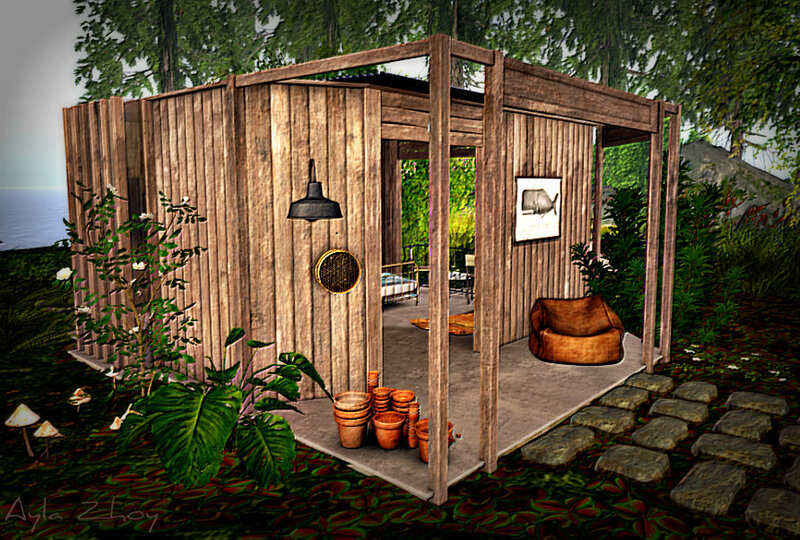 Its small… and open… and airy and that’s 3 things on my list of what I want for my SL life. 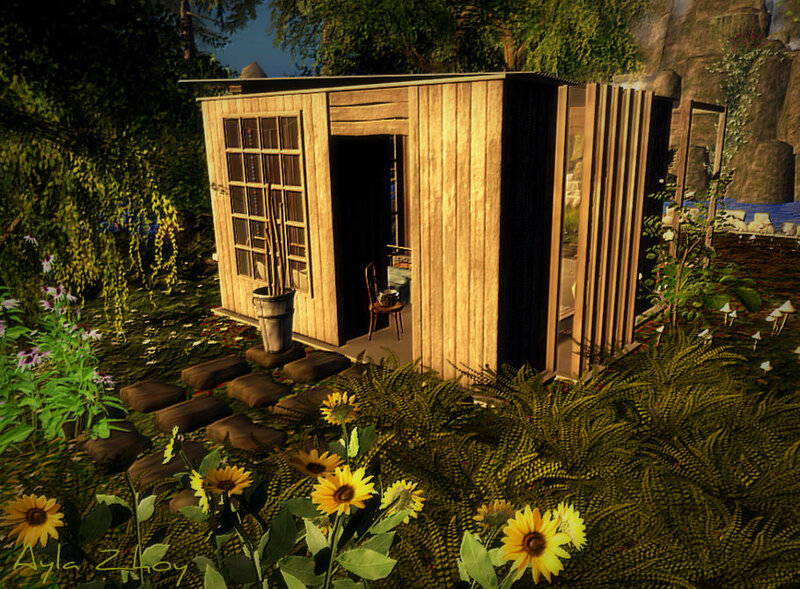 Our real worlds get complicated and when it’s time to take a break – Second Life can be great therapy. We hung this chair from a supporting beam and it is a new place to enjoy our gardens. The only thing missing in SL are scents …. wouldn’t it be nice to breathe in the salty sea or roses or lemon trees . . yes? Someone should work on that. Taking a bath in the ocean is fun (if you can hold onto the Ivory) but this fresh water shower is good to rinse the salt water from your body. There is no hot or cold – just on and off and there’s nothing like a refreshing shower on a hot summer day. I love having sunflowers (thanks to Morgan for these) and echanicea…camelia and lots of ferns and wild mushrooms sprouting all around! We enjoy our flowers and at least half my prims are used up with trees and plants. 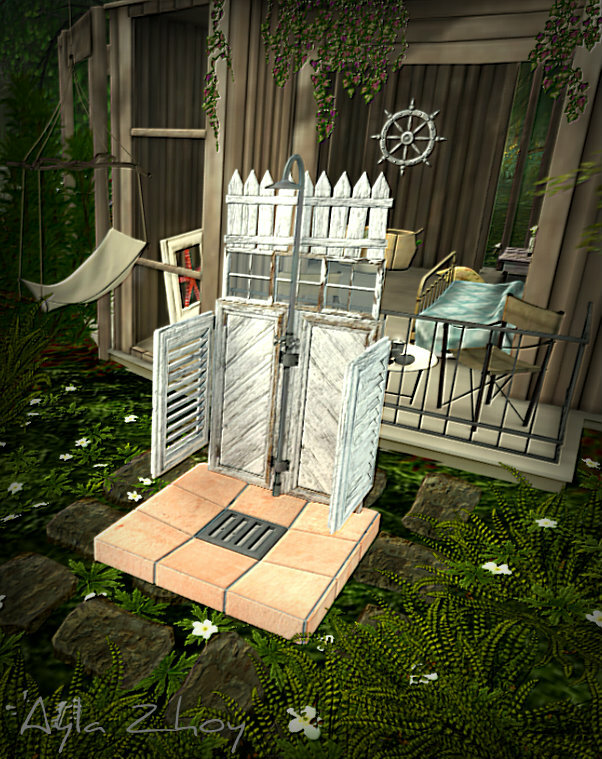 This is such a fun thing to play with and the more you try different ideas the better you get with your landscaping! Great time of year for a weekend in the woods before it gets sweltering summer hot. 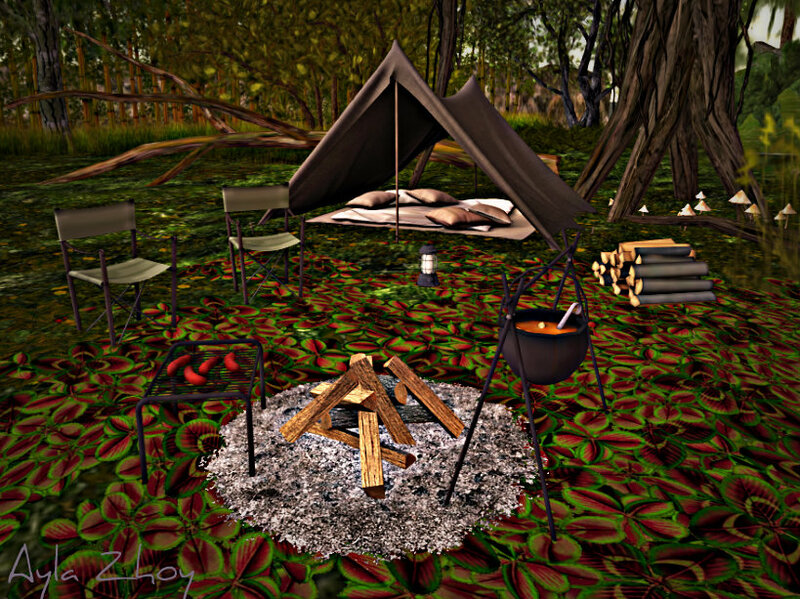 This camping set from revival was just what we were looking for with a long weekend coming up…. 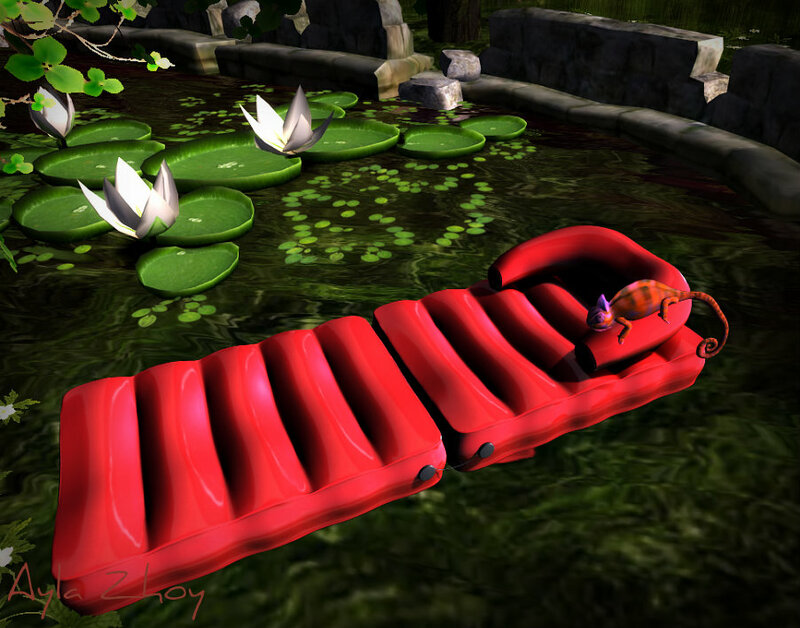 The pool float from N4RS is great for a swim, made for couples to cool off – or heat up – in our case in the river.